In 1998, almost a decade after Ayatollah Khomeini (poster, top right) declared a fatwa against Salman Rushdi, Iranians still called for his death Iranian women from the Iranian Islamic Militia (Bassidji) hold posters of Iran’s late paramount leader Ayatollah Khomeini and his successor Ayatollah Ali Khamenei during a demonstration in Tehran 13 October. Thousands of people gathered to demand the application of the fatwa (religious decree) calling for the death of Salman Rushdie.Iranian women from the Iranian Islamic Militia (Bassidji) hold posters of Iran’s late paramount leader Ayatollah Khomeini and his successor Ayatollah Ali Khamenei during a demonstration in Tehran 13 October. 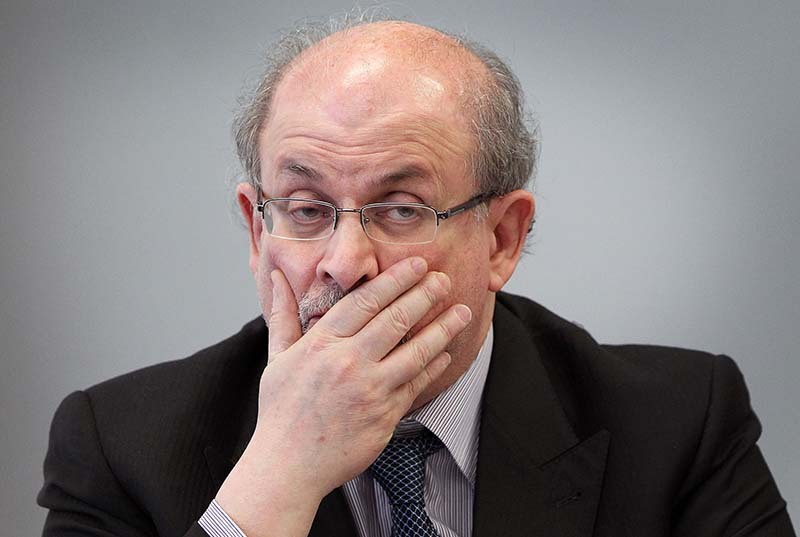 Thousands of people gathered to demand the application of the fatwa (religious decree) calling for the death of Salman Rushdie.